Faisal Shariff's impressions of the just-concluded T20 extravaganza. 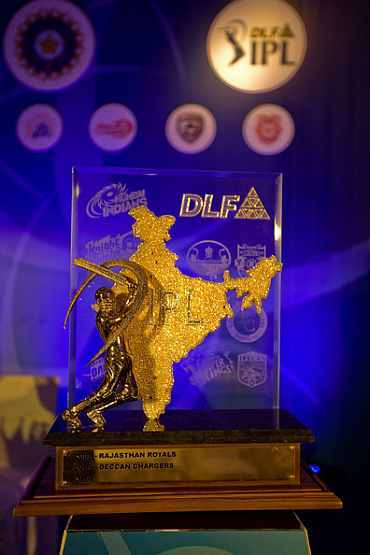 Season 4 of the Indian Premier League concluded with what was the most boring and one-sided final in four years of the tournament's history. 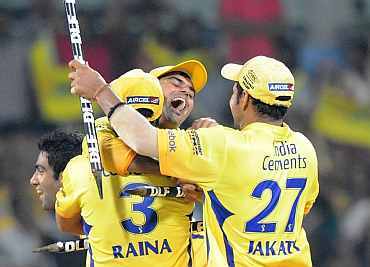 Chennai Super Kings showed how a combination of retaining key players and astute leadership can create magic in this format, while Mumbai Indians realised that money can buy you everything, except silverware. Maybe, they could do well by reading Michael Lewis's Moneyball. Deccan Chargers realised that it was Adam Gilchrist and not Darren Lehmann who was responsible for their successes in the last two editions. Kings XI were too top-heavy in their batting to succeed in the tournament. Kolkata Knight Riders and Royal Challengers Bangalore will be happy with their results. Kochi and Pune will take home a bundle of learnings and, amongst the two, Kochi will come back stronger. Rajasthan Royals were exceptional given the limited resources they had at their disposal though Shane Warne's team selections, at times, were surprising. Delhi Daredevils topped the points table in the first two IPL seasons and were knocked out in the semis on both occasions. So the thought that consistent teams should be rewarded with a chance to comeback in the play-offs, if they were to have a blip day, was floated, and it coasted through with the IPL's top honchos. Quite clearly, it defies logic, at least cricketing. Why should a team that loses deserve a second chance? Isn't that the nature of sport? If you have a bad day, hard luck; is it not the way in any other tournament? If the idea is to reward consistency, then why have play-offs at all. Take the EPL route and reward the steady performances. If anything, there should be a best-of-three finals format; one on Saturday and two on Sunday to get maximum television eyeballs. The only group not swayed by the IPL brouhaha was the national selection committee. 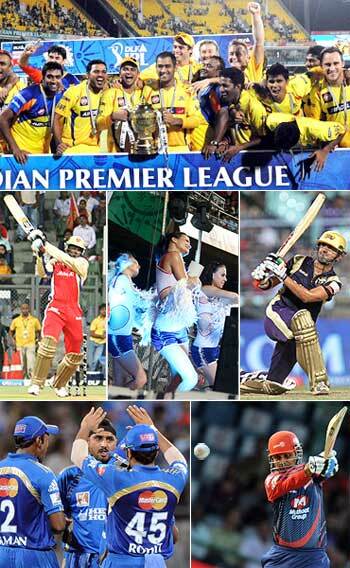 Every performer in the IPL was being paraded as a potential India ODI or T20 cricketer. But the selectors were smarter; they look at cricket in empty stadiums all through the season more than upstarts who convert into cricket buffs for two months. So, there was no room for Rahul Sharma, Ambati Rayudu or Paul Valthaty. These boys will have to go and perform in those boring whites and get ambitious with a plan. Sourav Ganguly, we thought, was finished as a cricketer. But he got a backdoor entry into the IPL. Criteria: He played one T20 game for MCC in the last six months, scoring three runs. Pune Warriors India would do well to explain the basis of his selection. It was sad to hear him say that it was the toughest day of his career. This coming from a man who has led India through one of its toughest phases and scored more than 18,000 international runs was disappointing. Here's hoping he doesn't return next season to bat and, instead, continues with his incisive commentary stints. 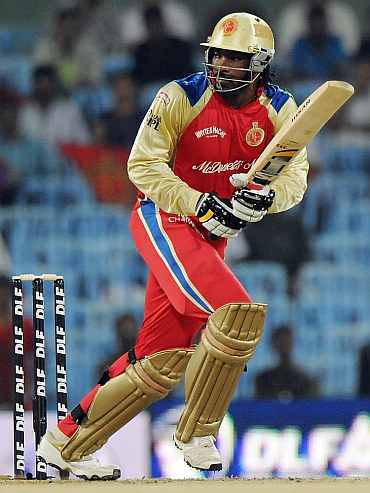 The other comeback -- that of Chris Gayle -- was far more dramatic. He came, he saw and he conquered. Should we really be worried about country vs club in his case? We forget that under IPL rules, a player can play if he receives a No Objection Certificate from his board. So, if Gayle had one, it means his board was okay with him playing in the IPL. We also forget that in the case of Gayle or Dwayne Bravo or Kieron Pollard, or any other international star, that a part of their earning also goes to their home board. So, there can never be a country vs club debate. Every board receives a share of each player's earning. Thus, it makes sense for more players to be in IPL; doesn't it? Too many cooks spoil the broth. Well that's true for this team. They had at the last count five travelling coaches, plus Kiran More to work on wicketkeepers. But, just who was in charge of planning? Well, don't ask! Rumour has it that a nine-member team selected the playing 11 for every game. Mumbai Indians' batting order was the Bermuda Triangle of the tournament. Just why was Kieron Pollard, despite last season's final goof up of sending him down the order, sent with just 15-18 deliveries left in the innings? Surprising! Why T Suman and R Sathish were selected ahead of Andrew Symonds and Aiden Blizzard defies logic. Mumbai Indians needs a fresh voice. Desi coaches have no value? 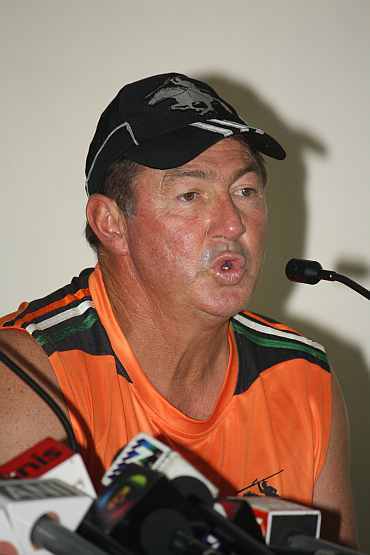 Australia had the largest coaching representation in the IPL. It was hardly surprising, because they can spin a yarn and sell ideas better than Indian coaches who, perhaps, can get things done better. But franchise owners do not see value in the desi coaches. So, you have an out-of-work Geoff Marsh and an unwanted Dermott Reeve being roped in; Darren Lehmann, who coaches elsewhere and also at Deccan; Greg Shipperd, who magically remains at Daredevils despite diminishing returns. Shaun Pollock arrives a week or two before the tournament and hopes to get his strategies right and know his team members well. Worrying sign, given this was the same gentleman (Pollock) who was responsible for his team being knocked out of the World Cup in 2003 for failing to understand the Duckworth-Lewis Method. Stephen Fleming and Ray Jennings went about their task most diligently, Dav Whatmore was efficient, but Michael Bevan was expected to bring in new ideas at Punjab. Geoff Lawson failed yet again as a coach. Maybe, the Pakistan Cricket Board was right after all. The IPL was on television everyday. People turned on the telly, saw and moved on. After a rather long World Cup, it isn't really surprising that the season could not repeat the magic of the first three seasons. The numbers this season hint towards a larger window for the IPL and more games sliding towards the weekends. Seems like a tough ask, but think about it. Everyone thought 59 matches was too many before a single ball was bowled. In the end more matches for BCCI means more money. Before we start shouting, at the last count, the English domestic Twenty20 this season will have 144 matches, a drop from last year's 151!